Global beverage and wellness manufacturer uses Matrox Imaging OCR software and vision controller to power critical production-line identification verification. One of the largest producers and distributors of beverages in Vietnam, Suntory PepsiCo has five manufacturing facilities nationwide, and a long history of successfully developing beverages for the Asia market. 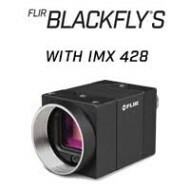 Now available: The BFS-U3-70S7 features Sony’s new 7.1 MP, 1.1″ IMX428 global shutter CMOS sensor. With its new 4.5 µm pixel size, these sensors deliver the high saturation capacity and dynamic range while maintaining the low read-noise Sony Pregius is known for. Jargy’s Passive, and Active Hi-Flex USB3 A to Micro-B Camera Cables-M/M can stand a minimum of 10 million drag-chain bending cycles (double strokes) at a radius of 125mm. The cables support USB 3.0 bandwidth (500MB/s). They are available in 1, 2, and 3m lengths in passive configuration, and in 4-20m lengths in active configuration. Sony has launched its new FCB EV7520A block camera and Active Silicon’s proven camera interface boards, the Active FCB-EV-HD-SDI and the Harrier 3G-SDI are fully compatible with this new camera. The combination of Sony’s latest block camera and Active Silicon’s trusted hardware offers superior high-definition video and image capture in a compact solution.